Many workplace accidents – and New York workers’ compensation claims – could be avoided if New York employers took effective steps to minimize hazards or unsafe conditions at the workplace. By law, they’re required to. The Occupational Safety and Health Act (OSHA) demands that employers must maintain a workplace free of hazards that they know or should know about that are likely to cause serious injury or death. OSHA is a part of the U.S. Department of Labor and was created by Congress in 1970. Its mission is to create safe and healthy working conditions. The agency has the power to create and enforce workplace standards. It also provides training, outreach efforts, education, and compliance assistance. OSHA covers a majority of private sector employers and employees throughout all states, the District of Columbia, and U.S. territories. OSHA does not cover self-employed individuals, farms that employ only immediate family members, working conditions that are controlled by other federal agencies, and employees of state and local governments, unless they are within a state operating under an OSHA-approved state plan. poor housekeeping: spills or obstructions on the floor, haphazard placement of dangerous chemicals or flammable items, etc. Unfortunately, some employers disregard these dangerous conditions, often prioritizing saving money over the health and well-being of their employees. If you believe your workplace is unsafe, there are certain steps you can take. First, OSHA recommends talking to your employer about the hazards. If conditions fail to improve, file a complaint with OSHA. This may be done confidentially: if you request it, OSHA will not reveal your name to your employer. Moreover, it is absolutely illegal for your employer to fire, demote, transfer or discriminate against you in any way for filing the report. Online. Fill out the online form and it will be automatically directed to the appropriate office. Note that most online complains will be resolved with your employer over the telephone rather than through an onsite inspection. Written complaints signed by workers and submitted to a regional OSHA office (see below) are more likely to result in on-site inspections. Download. You may download the form in English or Spanish, complete it, and mail or fax it to the nearest OSHA regional office. You should include your name, address and phone number so OSHA can contact you for further information, if necessary. Your personal information will be kept confidential. Telephone. Call your local or regional OSHA office. (You can get the number by calling 1-800-321-OSHA). The OSHA staff can discuss your complaint and respond to questions. find out the results of the OSHA inspection. If your employer is found in violation of OSHA standards, your employer will be issued a citation, requiring the employer to take corrective actions by a certain date. Employees may challenge the date of the deadline for corrective action, while employers may appeal the citation. If the employer is not issued a citation, you may request a review of OSHA’s decision. Also remember that if you are being discriminated against by your employer for having filed a complaint, you have 30 days to file a discrimination complaint with OSHA starting from the date of the discrimination. If there’s a risk that you may be exposed to a hazard at work that clearly presents a risk of death or serious physical harm, and you have brought the hazard to your employer’s attention, but there is not enough time to involve OSHA, then you may have the right to refuse to work. There is not enough time to have the hazard corrected through typical enforcement channels, such as filing a complaint with OSHA. If all of these elements exist, then ask your employer to correct or eliminate the hazard or assign you other work. 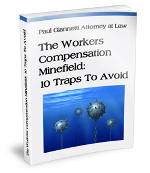 Tell your employer you will not perform the work unless the hazard is corrected or eliminated. Then, do not leave the worksite right away. Remain there until your employer orders you to leave. If you have any questions regarding an unsafe workplace or an injury or illness arising from an unsafe workplace, speak to an experienced Albany workers’ compensation lawyer. 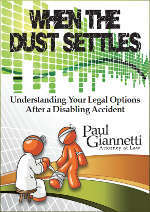 Contact Paul Giannetti today at (866) 868-2960 or online.